I’m Jessica (she/her/hers). Nice to meet you! I’m a lifelong horror fan with a passion for children’s and young adult literature. So what do you mean by “spooky,” anyway? Are your characters the type that would be found in a scary campfire story or a horror movie? Ghosts, goblins, witches, zombies, vampires, werewolves, chupacabras…you get the idea. Then your book is spooky! Even if it isn’t scary in the slightest, it counts. I love stories with paranormal or undead creatures that are funny or sweet or goofy instead of terrifying. And since I review books for all ages, from board books to YA and everything in between, I obviously can’t have all scares all the time. But I do love scares, so please send me your scary stuff too. Does your book include Halloween at all? Then I want to read it. That includes Halloween specials for established series — I love a good Halloween special, and that’s a great way for me to introduce readers to your series when I might not otherwise have an opportunity to review any of the non-spooky books. And if your book has no supernatural elements at all, but it’s still creepy or scary? Then it’s spooky, and I want to read it. I accept books in all genres. “Spooky” does not always equal horror. I love your blog logo! Who did it? Thank you, I love it too! The artist is Kelly Lianne, who created my blog and social media logo and banners. Unless otherwise noted, the books I review are ones that I have checked out from the library or bought myself. In the case of books provided to me by authors/publishers/etc. for the purpose of reviews, after I have finished reading them, I will donate those to my local library or (in the case of e-books) delete them. If I can, I will pass on books to other readers/bloggers, especially for marginalized communities (because I know there is a problem with ARCs, especially with MC of color, still ending up in the hands of white readers only). I will not accept payment of any kind for reviews. I accept books written for ages 0-18. You can send emails to contact@spookykidlit.com. I will make every effort to read and review in a timely fashion. I prefer to receive a book 1-2 months prior to when you would like the review posted. I accept print ARCs, finished copies, and e-books. My e-reader is a Kindle, so please only send Kindle-compatible files. I am currently accepting self-published books. I LOVE comic books and graphic novels, and I am always accepting those. However, I am not accepting interactive media books at this time. I post reviews to Amazon and Goodreads after they have been posted to the blog. 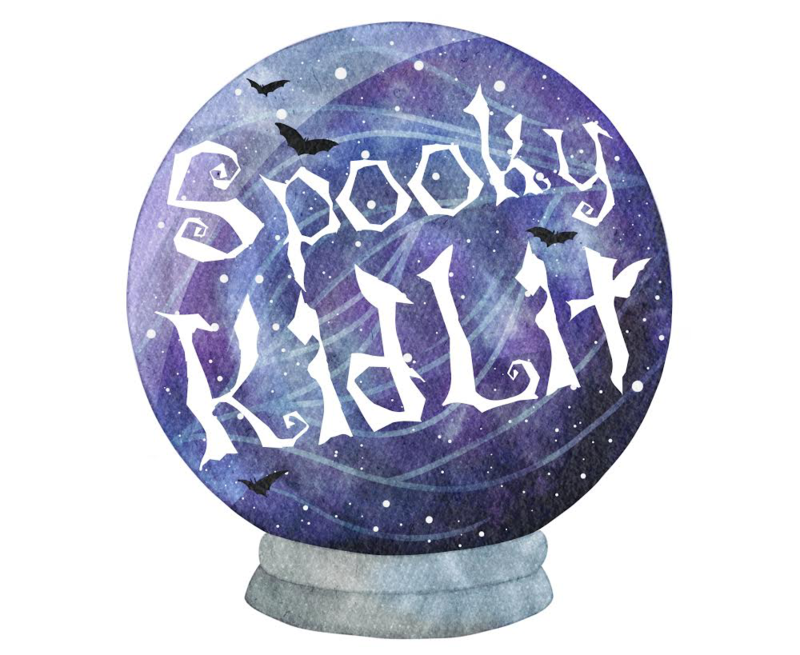 I am on both Amazon and Goodreads as SpookyKidLit. My review style varies based on the category of the book I’m reviewing. I will obviously write a longer review and delve a bit deeper into the themes of a YA book than I will with a board book, but I will treat both with the same level of respect that the writers and artists deserve. Speaking of artists: if a book is illustrated, I will give writers and artists equal credit in my social media and blog posts. If I’m reviewing a comic book or graphic novel, I will also credit the inkers, color artists, and letterers. My reviews are the writing equivalent of business casual: somewhere between informational conversation and literary criticism. They reflect my personal opinion, and my goal is to be fair and honest. I prefer not to post reviews of books that I didn’t enjoy, unless there is something actively harmful about the book that I want to address. Therefore, if I accept a book, this does not guarantee a review. However, if I haven’t posted a review of your book, that doesn’t mean I didn’t enjoy it! I simply may not have had time to read it yet, or I may still be drafting the review. A spoiler-free synopsis. If it’s a block quote, I got it from the publisher; otherwise, I wrote it myself. Book stats: Title, series status, author, illustrator, cover artist, publisher, ISBN, publication date, age rating as provided by the publisher, category, and any content warnings I deem necessary. (If you ever feel like I’m falling down on the job in terms of providing the content warnings necessary to keep readers safe, please let me know!) I also state whether a book is spooky-scary, as denoted by a skull and crossbones ☠️, or spooky-fun, as denoted by a jack-o’-lantern 🎃. It can be easy to assume that the older a book’s target audience is the scarier it is, but that’s not always true, so I like to include a rating that gives an idea of the book’s tone. That way, for example, YA fans who don’t want anything too scary or MG fans who want something that will give them nightmares can see at a glance whether they’ve found the perfect book for them. I don’t include a numerical rating for how scary the book is, though, because that’s far too subjective to quantify. My review: I take a few different approaches in my reviews. I try to view them from the perspective of a librarian or a guardian, particularly with board books and picture books, and I also try to view them from the perspective of a young reader. I include my thoughts as an adult reader of kidlit, both as an entertainment consumer and a critic. I try to address sociocultural issues that I see, and I make a conscious effort to feature books by writers and artists from marginalized communities. I always tag #OwnVoices books as such. With all that said, I also try to have fun, because spooky kidlit is a lot of fun! Coffin rating: I rate books on a 0-5 coffin scale, in 0.5 increments, with 5 being a classic and 0 being a travesty. Ratings are based on my personal enjoyment of the book. They are subjective, but I make every effort to be consistent in my ratings. Thank you for your interest! Please send an email to contact@spookykidlit.com and I will get back with you as soon as possible.